He also chats about the Game Of Thrones wrap party, and his favourite places to drink in Ireland. Following in the footsteps of Henry Cavill, Ben Affleck, and Gal Gadot, the next DC character to get their own standalone movie will be the incredibly powerful Aquaman, played by Jason Momoa. Having already popped up briefly in Batman V Superman, as well as in a long stint fighting evil in Justice League, Momoa is now front and centre, fighting to overthrow his power-hungry half-brother (played by Patrick Wilson) with the help of a long-lost acquaintance (played by Amber Heard). 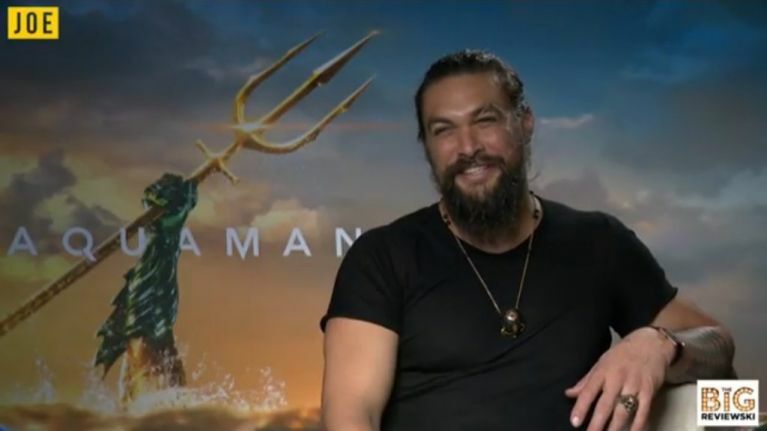 JOE was lucky enough to sit down with Momoa in the lead-up to the release of Aquaman, and we chatted about everything from the movie's most painful stunt, to working in wet jeans, as well as the GOT wrap party and drinking non-alcoholic Guinness on the set of the new blockbuster. Aquaman is released in Irish cinemas from Wednesday 12 December. We were also lucky enough to chat to fellow hero Amber Heard, big bad guy Patrick Wilson, and the movie's director James Wan.